In collaboration with LGW, Paris-based La Blogotheque journeyed to Utrecht to record an intimate Take Away Show with Wilco. 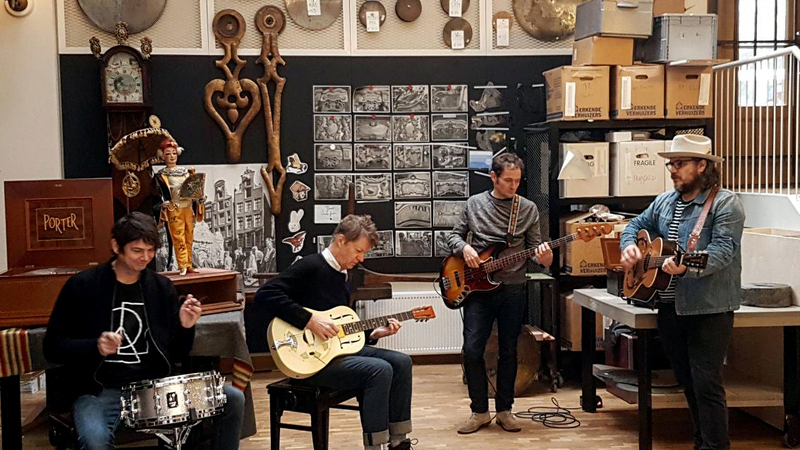 For the session, the band performs two songs from their latest album, Schmilco, in the Museum Speelklok’s restoration studio. Located under the iconic Dom tower, in the area of the former Roman castellum, the workshop is dedicated to the upkeep and repair of the museum’s impressive collection of self-playing musical instruments, ensuring that this unique craft will be passed on from one generation to the next.